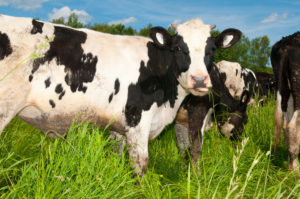 The livestock industry is a vibrant part of the agricultural sector and has its own set of unique water requirements. Water is essential in good livestock husbandry in areas such as pasture irrigation, stock watering, feed production, cooling of animal’s facilities and in dairy operations. Whether you are rearing cattle, dairy, pig, sheep, lamb or poultry we have a solution to suit your farm. We also specialise in the supply and service of a large range of pumps used across all livestock farm applications. Solar pumps are the ideal long-term solution for stock watering, and it has never been easier to reap the savings. Sunshine has always been cheaper than diesel, but older generations of solar pumps lacked the flow rates to make them appealing options for stock watering. With Grundfos’ SQFlex range this has been solved! The latest generation of solar pumps from global pumping giant, Grundfos is the SQFlex range, specifically developed for rural water solutions and ideal for cattle station owners, who until now had little option except for costly-to-run diesel generator pumps. Convert your existing pumps to solar, and watch your running costs evaporate. 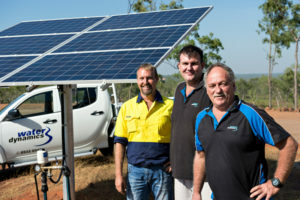 The team at Water Dynamics has the experience and know how to set up the latest generation of solar pumps on your station or property fast, helping you make the switch to solar and save. Call us today on 1800 571 812 to speak to our experienced staff about your livestock farm’s water management and irrigation needs.